At American Family Fitness, we are here for all you need! We provide personal training, small group training, and nutritional programs for guidance and support every step of the way. We want you to succeed! Here at American Family Fitness in Fredericksburg, we believe that everyone can benefit from personal training, whether it's one-on-one or in a small group. 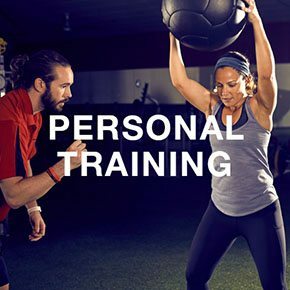 A certified trainer will be with you all along your journey, starting with identifying your baseline fitness level, helping you create your goals, and teaching you about equipment and technique. With proper training, along with focus on nutrition, you will quickly become a force to be reckoned with. It's about time to get started, don't you think? To get on the right track, members can receive an initial consultation with a trainer at our gym. Whether you are a beginner to fitness, or an elite athlete, personal training works! The best gym in Fredericksburg provides personal trainers to help you create a routine you’ll enjoy that is convenient to your schedule. Our trainers also evaluate your fitness, suggest lifestyle changes based on your goals, and educate you on the equipment and technique -- including the most effective intensity and duration of exercise. Come see us today. Do you appreciate the benefits of a one-on-one experience -- but enjoy the energy of a group class? 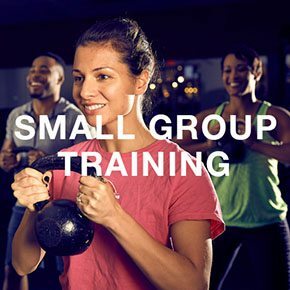 With small group training at our gym in Fredericksburg, you can have both! Small group training offers personal direction along with the motivation and energy of group instruction. We all know that nutrition and exercise are best friends! 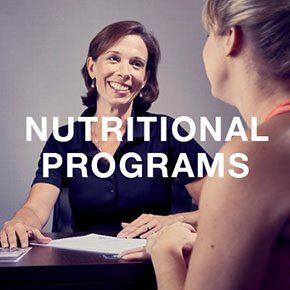 At our Fredericksburg gym, we provide registered dietitians who are more than happy to discuss the programs we offer that will help you reach your weight loss goals. You will learn about the best food options, types of exercises, and variety of weight loss solutions we have in place at our fitness center. Contact us today, we’d love to help!